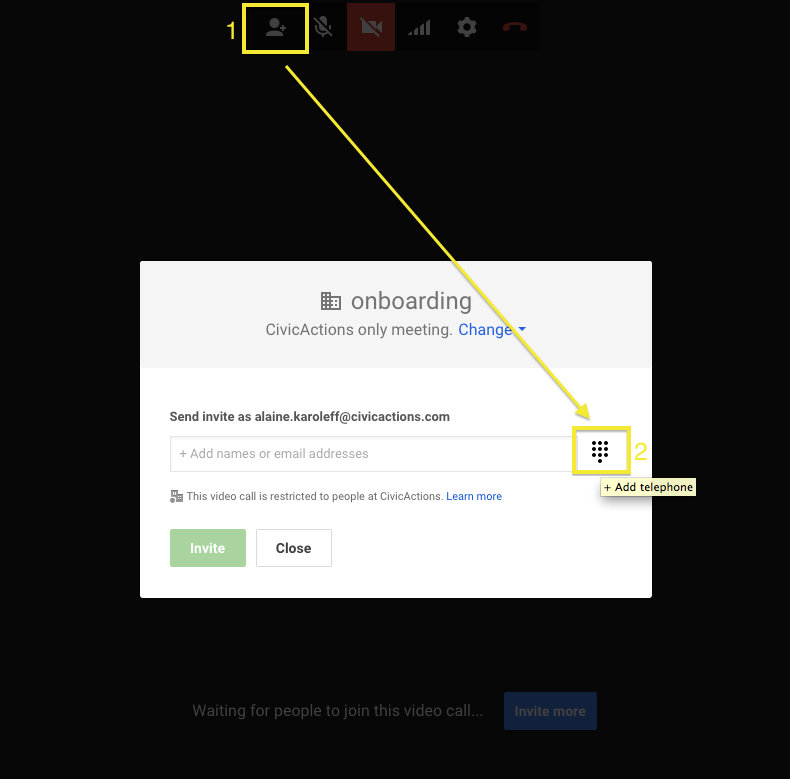 You can add a Google Hangout to a meeting invite by clicking "Add video call" on the event management page. You can also start or share a hangout from Slack by typing /hangout. 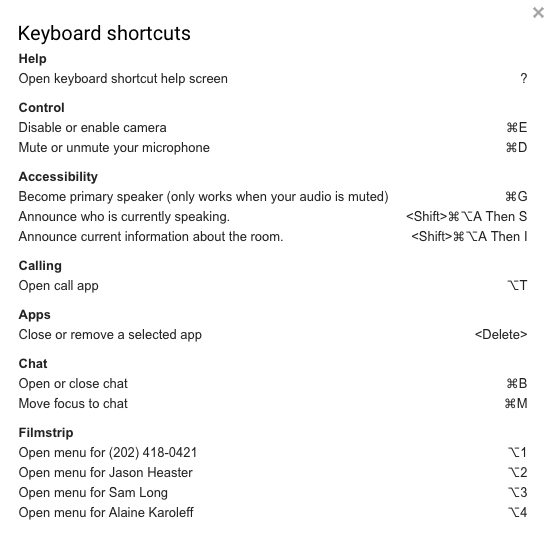 You can dial people into a Hangout. 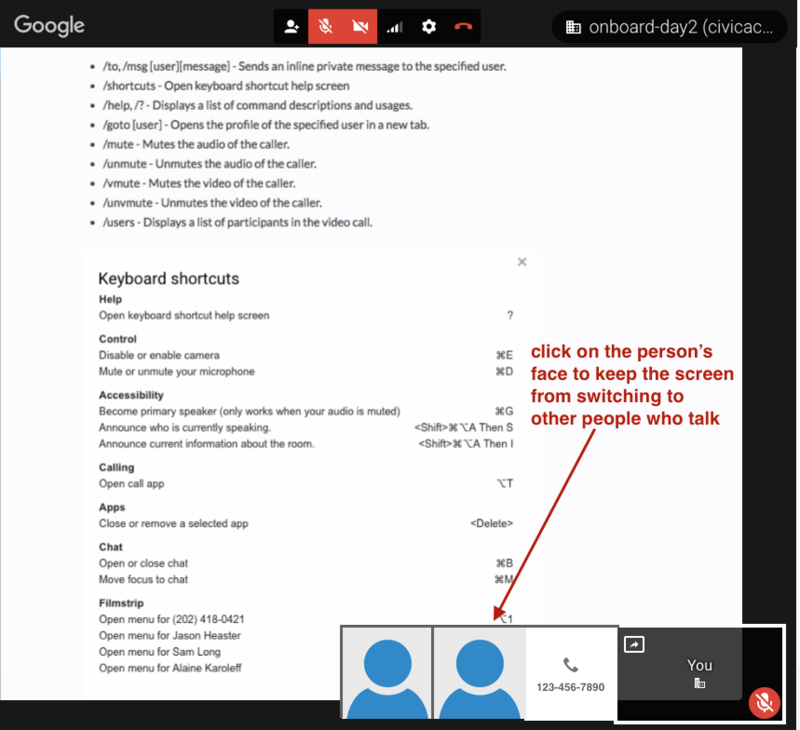 A Hangout's "invite" dialog can generate a phone number that people can call. Use screensharing for demos and for pairing. If you want to focus on just one participant (or their screen, if they're screensharing), you can stop the screen from switching by clicking on their picture/screenshare. To go back to automated switching, just click it again. If someone hears an echo & you don't, then it's likely your computer creating the echo. You can try to plug in headphones or unplug & replug them in. /to, /msg [user][message] - Sends an inline private message to the specified user. /help, /? - Displays a list of command descriptions and usages. /goto [user] - Opens the profile of the specified user in a new tab. /mute - Mutes the audio of the caller. /unmute - Unmutes the audio of the caller. /vmute - Mutes the video of the caller. /unvmute - Unmutes the video of the caller. /users - Displays a list of participants in the video call.